William James Durant (1885-1981),American writer, historian, and philosopher. "How the Earth made us" is a BBC production of 2010, the documentation explores how geology, geography and climate have influenced civilizations, history and mankind acting through four natural forces (considered once elements) - "Deep earth", "Water", "Fire" and "Wind". 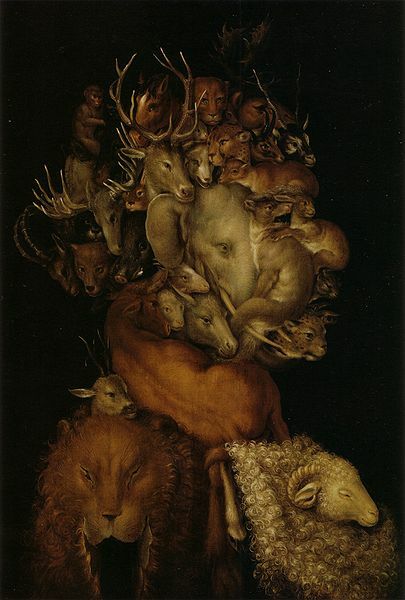 The painting by the Italian Renaissance artist Giuseppe Arcimboldo entitled "The Earth" (1566 ?) is one of a series of depictions of the four elements, earth is here associated to the terrestrial mammals of the world (especially the stag borrowed from the Celtic myth).